Home 2018 Elections This Endorsement Says a GREAT Deal About Nick Freitas. All Bad. 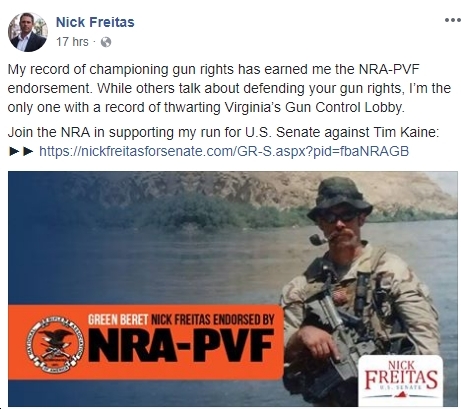 This Endorsement Says a GREAT Deal About Nick Freitas. All Bad. Where Do Democratic Virginia House of Delegates Candidates in Primaries Stand on the Issues? Part 2: Preventing Gun Violence.